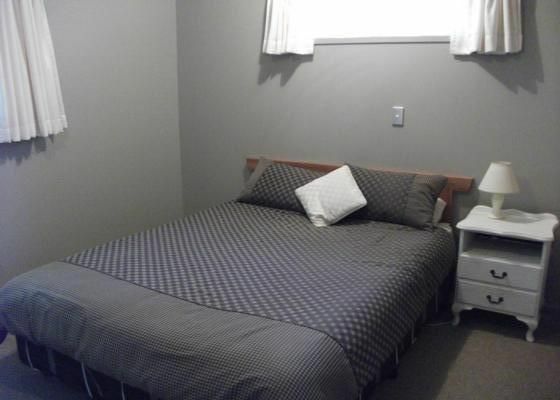 Tidy, quiet 2 bedroom small self contained unit. 1 queen bed, single bed second room.Bathroom with shower, tv, stereo, self contained kitchen. Outdoor BBQ area with table and chairs and clothes line. Very small living area containing only seating to watch tv from. Very close to all amenities, 2 minute walk to shops, 5 minute walk to supermarket, 2 minute walk to beach and boat club/wharf and harbour. Please note - living area is small, as is the second bedroom which is more suited to young children rather than teenagers. Such a great location and perfect spot for a weekend away! Thank you! Gray place to stay. We’ll be back! We only stayed overnight, but it suited us very well.